FRIDAY FILE: The result of India’s recent elections was a resounding victory for the Bharatiya Janata Party (BJP), a right-wing Hindu nationalist party. As Narendra Modi takes over leadership of India’s first majority government in three decades, AWID spoke with rights activists from diverse fields and locations about their reflections and concerns. India’s general election for members of the 16th Lok Sabha (House of the People, India’s lower house of parliament) took place in nine phases between April and May 2014. It was a historic election not just for India, but probably for the world—the size of the population eligible to vote increased to over 800 million; and a historic voter turnout of 66.4% (the highest ever recorded in any national election), well over half a billion people actually exercised their franchise, including a huge proportion of the 150 million newly registered voters between 18 and 23. 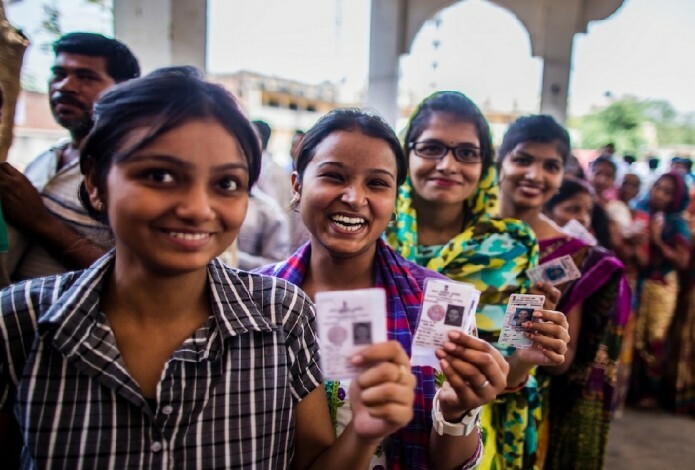 A surge in voting by women in general, and young women in particular, was observed, and attributed to concern about improved education and employment opportunities and the rising tide of sexual and other violence against them. ‘Women’s empowerment’, though not very clearly defined, and the safety and security of women, was a key electoral issue, and part of the manifestoes of all major national parties. Televised and, on-the-ground, debates about the increasing violence against women, and persistent gender disparities, was central to this election in a way unseen in earlier ones. Commentators have noted that there is no apparent departure from the former Congress-led government’s economic policies, with unbridled economic growth being the goal, at the expense of the environment or individual and collective rights. With 282 of 543 seats (51.93%) in the Lok Sabha, the BJP now holds power in the world’s largest democracy. The election results reflect not only a rejection of Congress rule, but the successful overhauling of the image of Narendra Modi and the country’s most impressive electoral PR campaign to date. Modi was recast from a provincial to a national leader; from the man who presided over genocide to the architect of the “Gujarat Model” symbolizing rapid economic development with clean and efficient governance; and from a rabid fundamentalist to a mature, inclusive national leader. This recasting of Modi was essential since he has never managed to shake off the stigma of being the leader in charge Gujarat state on India’s west coast, where in 2002, some 2,000 Muslims were systematically slaughtered, and countless others tortured, raped, maimed, and over 100,000 homes seriously damaged or destroyed. This history, and the lack of accountability that followed - combined with the more muscular neoliberal policies of the BJP and how these impact labour and economic rights for those who are not beneficiaries--has raised concerns about what the new BJP government will mean at the national level, particularly for religious and ethnic minorities, those at the lower end of the caste system, women, workers, and sexual minorities. A defiant Bhaiya promises, “[a]s feminists, we will continue to struggle and carry on our work. We are not going to stop our work or allow any paralysis, [even though] in fact our tasks are heavier, but [they are] critical. I am an optimist and do believe in ‎people's wisdom." [ii]The worst example of which was the pogroms against the country’s Sikh population after the assassination of Indira Gandhi, and the failure to punish those from within its own ranks who fomented this violence.